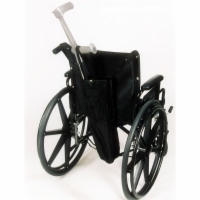 Mobility and medical accessories are a must-have for some people, but they can be clunky and awkward. 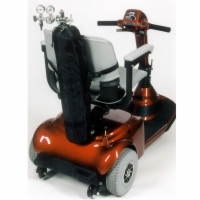 With our holder accessories for manual wheelchairs, power wheelchairs, and mobility scooters, you'll never need to worry about your canes, crutches, walkers, or tanks getting in the way of a smooth ride! Convenient cane holder for scooters and power wheelchairs. 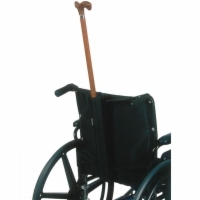 Convenient cane holder for manual wheelchairs with push handles. Convenient crutch holder for scooters and power wheelchairs. 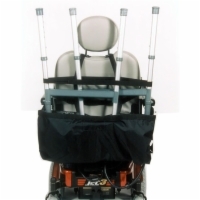 Convenient crutch holder for manual wheelchairs with push handles. Convenient walker holder for scooters and power wheelchairs. 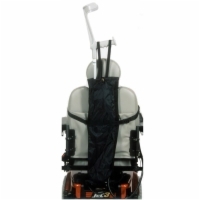 Safe and secure oxygen tank storage for scooters and power wheelchairs. 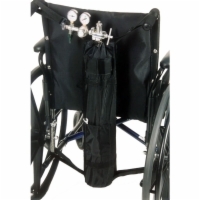 Safe and secure oxygen tank storage for manual wheelchairs with push handles.